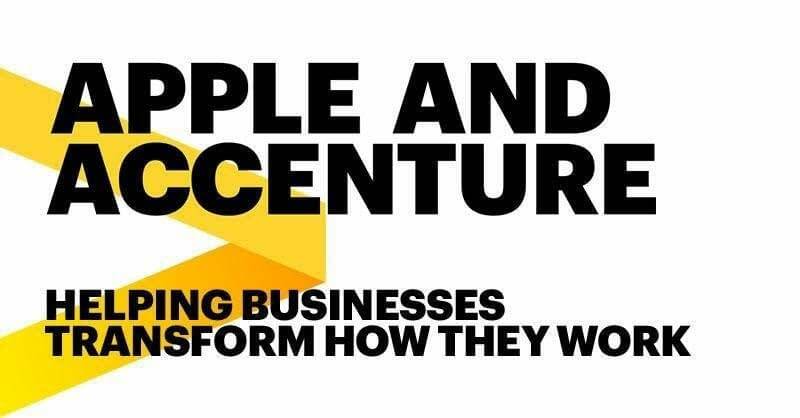 Cupertino, California and New York — Apple and Accenture are partnering to help businesses transform how their people engage with customers through innovative business solutions for iOS. The partnership will take full advantage of the power, simplicity and security of iOS, the leading enterprise mobility platform, and Accenture’s capabilities as a leader in industry and digital transformation to help companies unlock new revenue streams, increase productivity, improve customer experience and reduce costs. Accenture will create a dedicated iOS practice within Accenture Digital Studios in select locations around the world. Experts from Apple will be co-located with this team. Working together, the two companies will launch a new set of tools and services that help enterprise clients transform how they engage with customers using iPhone and iPad. The experts will include visual and experience designers, programmers, data architects and scientists, and hardware and software designers. The new iOS tools and services will take full advantage of the latest Apple technologies and tap into Accenture’s leading digital and analytics capabilities. New ecosystem services to help clients address the full range of iOS integration requirements to connect to back-end systems, leveraging Accenture’s systems integration expertise and the unique iOS advantages built by Apple with key partners like SAP and Cisco. Internet-of-Things (IoT) services featuring new tools, templates and predesigned code to help clients take greater advantage of the data from IoT platforms in their iOS apps, putting more power into the hands of workers. Migration services to help clients to quickly and easily transfer their existing legacy applications and data to modern iOS apps. For more information regarding the Apple and Accenture partnership, please visit accenture.com/apple or apple.com/business/partners. Accenture is a leading global professional services company, providing a broad range of services and solutions in strategy, consulting, digital, technology and operations. Combining unmatched experience and specialized skills across more than 40 industries and all business functions – underpinned by the world’s largest delivery network – Accenture works at the intersection of business and technology to help clients improve their performance and create sustainable value for their stakeholders. With more than 411,000 people serving clients in more than 120 countries, Accenture drives innovation to improve the way the world works and lives. Visit us at www.accenture.com. 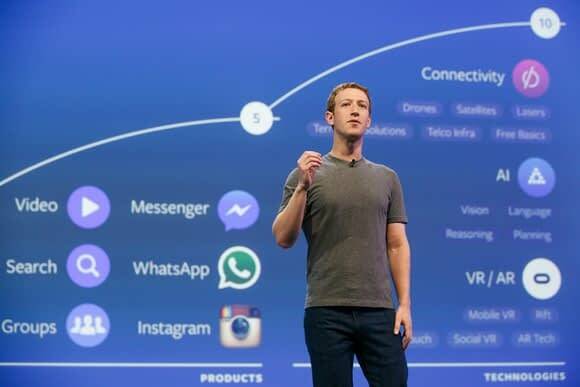 Facebook is due to launch a subscription-based news product, it has been reported. The social media giant’s news partnerships head Campbell Brown announced the plans at a conference in New York. The feature is likely to allow publishers to create a paywall on Facebook’s Instant Articles and guide readers to a publisher’s home page to opt for a digital subscription, according to a TheStreet report. The idea for a paywall is based on premium and metered plans and has been in the works for a while, TheStreet said, citing comments by Ms Brown at the Digital Publishing Innovation Summit. The company is widely seen as a threat to publishers as it hoovers up digital advertising revenue. The Instant Articles scheme was launched in May 2015 as a way for publishers to have their articles read inside the Facebook app. But after the initial fanfare, many publishers are believed to have abandoned the platform after tests showed that it did not improve their traffic anymore than traditionally social media links and they found the monetisation element “lacking”, Digiday reported. Facebook has quietly introduced a new feature, and it makes online stalking a slightly riskier affair. Facebook Hello is essentially Poke under a new name, but its placement on people’s profile pages is proving problematic. You might not have noticed it yet, as it only started rolling out this summer and appears to still be in a testing phase. Did you know that you can now create and remix your 3D creations in all new ways with the latest update to Remix 3D? Last week, we announced new capabilities in Remix 3D – Parts and Remixes – an all-new way to experience the relationship between 3D content and see how it can transform and take new life when shared with a creative community. On any model page on Remix3D.com, you’ll see two new tabs: Parts and Remixes. Simply click on Parts and scroll down to see the individual parts that make up the model. A dog with a party hat and party favor may have three parts: the dog model, the hat model and the party favor model. But what if someone remixes that dog and adds a birthday cake? That would appear under Remixes. The Remixes tab is a way to show how creators are building off other amazing creations. If someone remixed a model you created, their new design would point back to your original model in the Remixes tab. If you’re working in the Paint 3D app, you can click on the Remix 3D tab, find a model and then click “Place in project” to start creating your own Remix! Today, Intel reported second-quarter 2017 financial results. Among the highlights is the strong performance of Intel’s Client Computing Group (CCG). In Q2, CCG achieved $8.2 billion in revenue, a 12 percent increase over last year, while launching breakthrough products and winning customer designs. CCG is primarily known as Intel’s PC business, which it is … and more. Here are five facts about Intel’s Client Computing Group and the growth opportunities it is pursuing. As the PC market has evolved, so has CCG: The company’s view of the personal computing market is broad, and CCG creates processors and other technologies that power all manner of computing devices. From stunning new PCs to smart home technologies to entirely new twists on what a computer can be through innovations like Compute Card, so many devices are powered by Intel. Paving the way for esports and virtual reality: One of the brightest spots in the PC market is the enthusiast segment, driven in part by the rise of esports and newer experiences like VR. Intel has been there since the beginning, making sure enthusiasts, content creators, streamers and spectators have the technology they need to perform at the highest levels. Last month, the CCG team announced one of the most exciting deals in esports history and they are hard at work to bring VR to competitive esports. Driving innovation across the platform: Intel wants to improve the whole computing experience for customers, whether it is delivering Thunderbolt 3 so people can transfer a full 4K movie in less than 30 seconds, creating the security technology that helps protect enterprise data or enabling games to launch even faster thanks to Intel Optane Memory. Connectivity is part of the picture too: A great computing experience requires great connectivity, which is why CCG is delivering fast 4G LTE modems, pioneering always connected PCs and laying the foundation for 5G in the future. The team is also focused on improving connectivity in the home with its cutting edge home gateway technology and more. 1Based on SYSmark* 2014 v1.5 (Windows Desktop Application Performance). Comparing 7th Gen i7-7500U, PL1=15W TDP, 2C4T, Turbo up to 3.5GHz, Memory: 2x4GB DDR4-2133, vs. Estimates for 8th Gen Core i7: PL1=15W TDP, 4C8T, Turbo up to 4 GHz, Memory: 2x4GB DDR4-2400, Storage: Intel® SSD, Windows* 10 RS2. Power policy assumptions: AC mode. Note: Performance estimates are Pre-Silicon and are subject to change. Pre-Si projections have +/- 7% margin of error. Software and workloads used in performance tests may have been optimized for performance only on Intel microprocessors. Performance tests, such as SYSmark and MobileMark, are measured using specific computer systems, components, software, operations and functions. Any change to any of those factors may cause the results to vary. You should consult other information and performance tests to assist you in fully evaluating your contemplated purchases, including the performance of that product when combined with other products. The iCloud activation lock is a complete pain. What were Apple Apple thinking when they introduced a system so strict that a device you spent hundreds of dollars on becomes unusable? Well it turns out that there are a couple of solutions to fix it. One of them is completely free! This article will explain how to do an iCloud unlock and an iCloud bypass. It also reviews the many iCloud activation lock removal services available and tells you the best company to use with the most reliable service. What is the iCloud activation lock? So you just bought a used iPhone or iPad. …you have no idea what they are and you can’t contact them to find out. Even if you can track them down they are unlikely to give you their iCloud password as it gives you access to their private stuff. This makes your iPhone an unusable brick. You have just encountered the iCloud activation lock. What is the purpose of the iCloud activation lock? This is actually a good idea in some ways – it puts people off stealing iPhones as they will be unusable by anyone else. However almost 50% of second hand iPhones bought and sold legitimately have iCloud activation locks left on by accident. This means buyers can’t use them. The easiest way to have your iPhone iCloud activation lock removed is by contacting the seller, or original owner of the device and asking them to remove it from ‘Find My iPhone’. This is a simple process and can be done from any computer or smartphone that can connect to the internet via iCloud.com. Read the full article describing the steps an owner should follow before selling their device here: https://support.apple.com/en-us/HT201351. 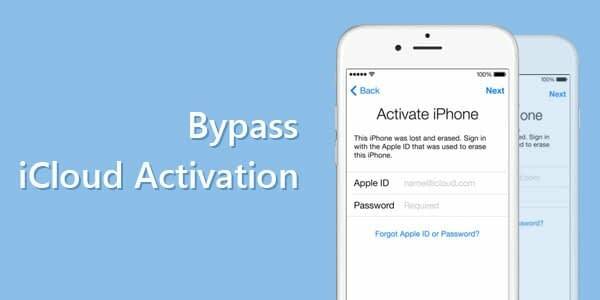 This will remove the iCloud activation lock on your device. The next thing you need to do is check the status of the device you just bought to see if it has been stolen. This used to be possible using Apple’s activation lock tool but is no longer possible as they disabled it. Instead, I suggest contacting you local Apple store and asking them to check. Apple removed the activation lock check tool from their website on January 29th 2017 without any warning. Rumour has it that Chinese hackers had been using the tool to find unlocked devices serial numbers and used them to reset iPhone serial numbers remove locks on an industrial scale. This means you can’t check the status of your Apple device online for now. It is unknown if the tool will ever return. If it is locked due to theft you may still be able to bypass the activation lock as described later in this article and get some functionality. But you won’t be able to unlock the iPhone completely. Don’t know how to find your IMEI for your iPhone? In future it is best to request this number from the seller before you buy it to make sure the item has not been stolen or locked by the previous owner. You simply ask Apple to check the device on your behalf and can then buy it safe in the knowledge it hasn’t been stolen and locked permanently. How does iCloud lock work? If the original owner of your iPhone turned on a feature called ‘Find My iPhone‘ then it will automatically link their iCloud account to the iPhone. The idea is to help them find their device if it is lost or stolen. If the worst comes to the worst and they can’t get their iPhone back then they can use ‘Find My iPhone’ to erase the contents of the phone and lock it permanently. Obviously the idea behind this is to deter theft which is a great. However, if you buy a used iPhone, iPad or even Apple Watch and the previous owner forgot to remove it from their ‘Find My iPhone’ account then it is locked to the old owners iCloud account. This means you can’t use it. So the security on iCloud may disable the iPhone you bought in good faith and make it unusable. However there is a solution – using either an iCloud bypass or unlock. The difference between the 2 methods are described in this article. Which models of iPhone and iPad can be unlocked? You can unlock any iPhone apart from the 1st generation, 3 and 3GS models using the process in this article. The iPhone 7 and iPhone 7 Plus were announced on September 7, 2016 and were released on September 16, 2016. The iPhone 7’s overall design is similar to the iPhone 6S, but introduced water and dust resistance and controversially removed the 3.5 mm headphone jack. The iPhone 7 and iPhone 7 Plus supports all iOS versions including iOS11 and can be unlocked. The iPhone 6s and iPhone 6s Plus were announced on September 9, 2015 with the official release on September 25, 2015.
iPhone 6S had a mostly positive reception with its updated hardware, including a strengthened chassis and upgraded system-on-chip, a 12-megapixel camera, improved fingerprint recognition sensor, and LTE Advanced support. The iPhone 6s and iPhone 6s Plus supports all iOS versions including iOS11 and can be unlocked. The iPhone 6 Plus, like the iPhone 6, was announced on September 9, 2014. It included a larger 5.5 inch display, a faster processor, upgraded cameras, improved LTE and Wi-Fi connectivity and other improvements. The iPhone 6 Plus supports all iOS versions including iOS11 and can be unlocked. The iPhone 6 is part of the iPhone series announced on September 9, 2014, and released on September 19, 2014. Despite their positive reception, the iPhone 6 has been the subject of several hardware issues including being susceptible to bending. The iPhone 6 supports all iOS versions including iOS11 and can be unlocked. The iPhone 5 was unveiled on September 12, 2012 and released on September 21, 2012. It had the shortest lifespan of any iPhone produced with only twelve months in production. The iPhone 5 supports iOS10 but not iOS11 and can be unlocked. The iPhone 5S includes major internal upgrades but maintains almost the same external design as its predecessor. Reception was generally positive, with some considering it to be the best smartphone available on the market. The iPhone 5s supports all iOS versions including iOS11 and can be unlocked. The iPhone 5c was part of the iPhone series unveiled on September 10, 2013, and released on September 20, 2013, along with the flagship version the iPhone 5S. The iPhone 5C is a variant of the iPhone 5 but with a hard-coated polycarbonate shell. The iPhone 5c supports iOS10 but not iOS11 and can be unlocked. The iPhone 4 was first unveiled on June 7, 2010. The iPhone 4 had the longest span as Apple’s flagship iPhone model at fifteen months. It was available to buy up to 2015.
iOS 7.1.2, is the last version of iOS to support the iPhone 4 and it can be unlocked. Announced on October 4, 2011. This iPhone was named “4S” where “S” stood for Siri. It is the last iPhone to have the original 30 pin connector. Reception to the iPhone 4S was generally favourable. Reviewers said Siri, the new camera, and processing speeds were significantly better. The iPhone 4s supports iOS9 but not iOS10 and can be unlocked. Apple boss Tim Cook has defended his company’s decision to comply with the Chinese government’s demand it remove VPN software from the App Store. Virtual Private Networks are often used to skirt censorship and surveillance in countries with tight restrictions on internet use. The company has been heavily criticised for removing several VPN apps, and was accused of “aiding Chinese censorship efforts”. Apple said it disagreed with China’s position but had to comply with the country’s laws. “We would obviously rather not remove the apps,” Apple chief executive Tim Cook said on Tuesday. “But like we do in other countries we follow the law wherever we do business. Mr Cook said comparisons to a legal battle in the US last year – in which the firm refused to help the FBI unlock a dead terrorist’s iPhone – were unfair. “They’re very different,” he said. Activists and indeed regular citizens in China have been finding ways to poke holes in the country’s infamous Great Firewall of China which blocks “questionable” content and is heavily monitored. To operate a VPN service in the country, companies must be authorised by the Chinese authorities. Those without permission, such as ExpressVPN, have been singled out for removal from Apple’s App Store. “We’re disappointed in this development, as it represents the most drastic measure the Chinese government has taken to block the use of VPNs to date,” said ExpressVPN in a blog post. Mr Cook said Apple stated its opposition to the removal through the “appropriate” channels. “We believe in engaging with governments even when we disagree,” he said. 2017 will mark the 10th anniversary of the iPhone and Apple has something major planned to celebrate the occasion. We’ve got several months to go until the launch of the iPhone 8, but because of Apple’s ambitious plans for the device, there are already an abundance of rumors hinting at the impressive features coming in the 2017 iPhone. Apple tested more than 10 prototype iPhone models, leading to a lot of mixed rumors floating around, but the general design and the features we can expect have mostly been nailed down, including in leaks from Apple itself. The iPhone 8 is expected to feature a radical redesign, with an edge-to-edge display that does away with the top and bottom bezels where features like the Touch ID fingerprint sensor and the front-facing camera are housed. Instead, rumors suggest Touch ID will either be built into the display or eliminated entirely in favor of facial recognition technology, with Apple is confirmed to be working on. Either way, there will be no physical Home button on the iPhone 8 and no bezels aside from a small area for the front-facing camera. With an edge-to-edge design, the iPhone 8 may be similar in size to the 4.7-inch iPhone, but with a display the size of the 5.5-inch iPhone. Rumors suggest it will feature a 5.8-inch display with 5.15 inches of usable area, with the rest dedicated to virtual buttons that will replace the existing Home button. The display itself is said to be a flexible plastic OLED rather than an LCD, allowing Apple to introduce a thinner device that consumes less power and offers a better display with higher contrast ratio and more true to life colors. It will feature a slightly curved 2.5D display that’s similar to the display used in the iPhone 7. As for the body, Apple is finally moving away from the aluminum used in the iPhone 5, 5s, 6, 6s, 7, and SE, and will instead adopt a glass body that’s similar to the body that was used for the iPhone 4. According to analyst Ming-Chi Kuo, the glass will be built around a polished stainless steel frame that’s similar in design to the Apple Watch. Other models will also feature glass, but with an aluminum frame. Like the iPhone 7, the iPhone 8 is expected to be water resistant, but it may have an improved IP68 water resistance rating. It will continue to be able to hold up to rain, splashes, and brief submersion in water, and that water resistance has been confirmed by an Apple supplier and may extend to all iPhone models being released in 2017. Inside, the iPhone 8 is expected to have a 10-nanometer A11 chip that will be both faster and more efficient, plus rumors suggest it could also include features like induction-based wireless charging and biometric additions like facial recognition that would be used for device security, perhaps to replace Touch ID. In higher-end models with a dual-lens camera, both lenses are expected to feature optical image stabilization. The iPhone 8’s front-facing camera will include advanced 3D sensing capabilities that use technology by PrimeSense, allowing it to find the location and depth of objects in front of it, enabling advanced 3D facial recognition features. Rumors suggest Apple will use a vertical rear camera for improved pictures and better AR functionality, along with a dual-camera setup for the front-facing FaceTime camera. Apple is said to be planning to position the OLED iPhone 8 as a ~5-inch “premium” model that will be sold alongside standard 4.7 and 5.5-inch iPhone models with traditional LCD screens. To mark its status as an elite model, the iPhone 8 may be available in a limited number of colors. The iPhone 8 is expected to cost as much as $1,000, which is a good deal more expensive than previous iPhones. 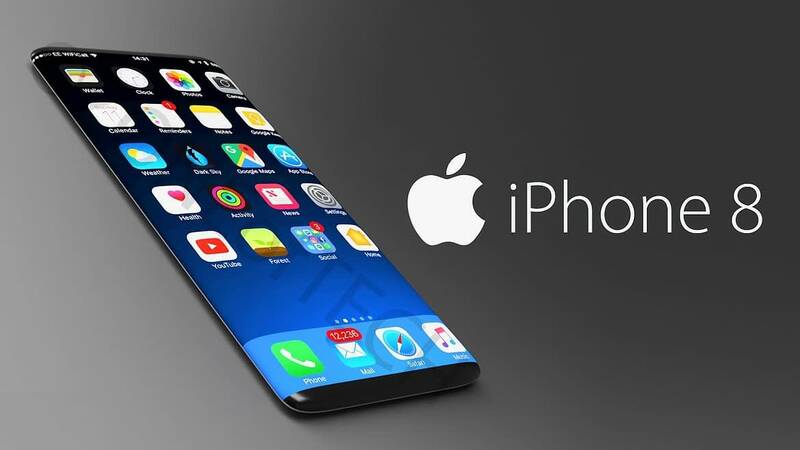 “iPhone 8” rendering said to be based on leaked CAD drawingsGiven the radical design changes Apple plans to introduce in the OLED iPhone, rumors have been suggesting there will be serious supply constraints. Apple may introduce the ~5-inch OLED iPhone at a September event alongside the standard 4.7 and 5.5-inch devices, but there’s a chance it won’t be released until one or two months after its introduction. Alternatively, it may be available in small numbers, with the majority of people unable to get their hands on it until the first quarter of 2018. Early on, we saw several different design prototypes for the iPhone 8 that made it difficult to suss out both the final look and the features we can expect, but both later leaks and information accidentally shared by Apple have given us a pretty clear picture of what to expect. Originally, there were rumors about prototypes featuring a water drop design, a rear Touch ID button, and an edge-to-edge design with no Touch ID button at all, but it appears the third option won out. Apple in late July released firmware for the upcoming HomePod speaker and inadvertently released an image of the iPhone 8 that developers dug out of the code. Though just a simple outline, The image heavily resembles leaked iPhone 8 parts and design schematics, featuring full-front display with thin bezels, no Home button, and a notch at the top for the earpiece and sensors. Given that the image looks both nothing like existing devices and so much like iPhone 8 leaks, it’s reasonable to assume that this is indeed representative of what we can expect to see in September when the device launches. We’ve seen many clearer schematics, renderings, dummy devices, and part leaks that give a clearer picture of what the iPhone 8 will look like, with those images available below. Much of this information has come from sources within Apple, supply chain leaks, and accessory makers that use leaks to build early versions of iPhone cases. As outlined above, the iPhone 8 is expected to feature an edge-to-edge display, a glass body, and no visible Touch ID button anywhere on the device, pointing towards an iPhone 8 with Touch ID located under the display or no Touch ID functionality at all, as can be seen in the rendering below. The rendering is based on leaked schematics that suggest it will measure in at 137.54mm tall by 67.54mm wide, similar in size to the iPhone 7. 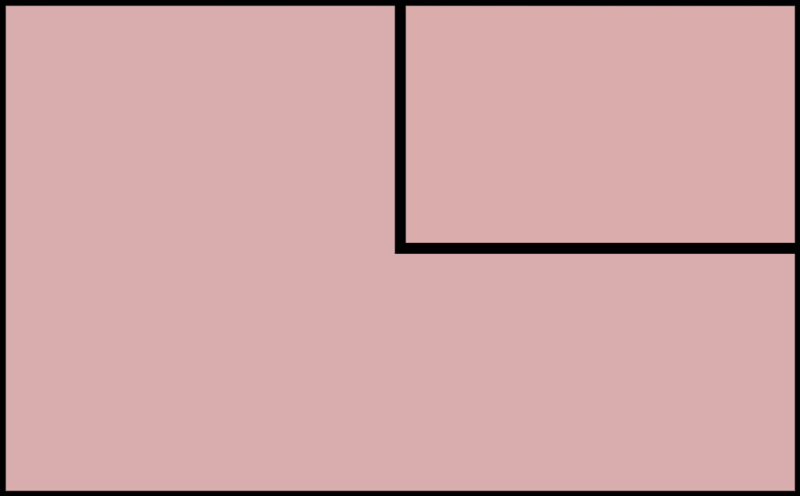 Thickness is not shown, but there’s a nearly edge-to-edge display that measures 5.767 inches on the diagonal. A 4mm bezel is pictured around the display, with half of that being the 2.5D curved glass at the edges. All of this is in line with rumors suggesting an iPhone 7-sized device with an iPhone 7 Plus-sized display. A narrow earpiece is depicted on the front of the device alongside cameras and sensors that appear to be embedded in the display area. There is no Home button and no visible Touch ID sensor. An image of what’s said to be an iPhone 8 CNC dummy model sourced from Foxconn features front and rear panels made from slightly curved 2.5D glass held together with a stainless steel frame. Those steel edges will reportedly be finished a polished “Space Black” color in at least one of the devices, though rumors suggest all models may be limited to shades of black. The dummy iPhone 8 appears to be thicker than existing iPhone models, but it features an edge-to-edge screen with no Home button. At the rear of the device, there’s a vertical dual-lens camera with no other markings. There is no rear Touch ID sensor nor an Apple logo. At the sides, there are volume buttons and a mute switch on the left, with an elongated power button and a SIM tray on the right. The video below offers up a detailed look at the dummy model, which could perhaps be representative of what the iPhone 8 will look like. Schematics “based on blueprints” that allegedly give a look at the sensors located under the display and inside the device have also leaked. At the top of the device, there’s an embedded camera, flash, and ambient light sensors, all designed to power a new facial recognition system Apple is working on. Our first glimpse of components that could be destined for the iPhone 8 surfaced in mid-June. The images, said to be sourced from a case manufacturer who received them from a glass supplier in China, depict what is said to be the front and bank panel of the iPhone 8. There’s a thin bezel around the sides along with a top bar that could perhaps house a front-facing camera, microphone, and speaker. Notably, there’s no cutout for a Touch ID fingerprint sensor, which is in line with the rumors that suggest Apple will embed it in the display or eliminate it. A second photo depicts the two alleged iPhone 8 components next to components said to be for the 4.7-inch iPhone 7s and the 5.5-inch iPhone 7s Plus. All three rear shells are made from glass to support wireless charging. There’s no way to verify the authenticity of the components in the images, so they should be viewed with caution until we get additional part leaks. An iPhone case said to be for the iPhone 8 has leaked, showing off a design that’s similar to many of the prototype 1 renderings. It features a cutout for a vertical dual-lens rear camera and because it has no cutout for Touch ID or other features, it suggests it is for a device with no rear-facing Touch ID button. It continues to have pill-shaped volume buttons, but there is a longer power button located on the left, something we’ve also seen in renderings and other desk leaks. If legitimate, photos that allegedly show molds of the upcoming 2017 ~5-inch OLED iPhone, 4.7-inch iPhone, and 5.5-inch offer a look at the size differences between the devices. The 5.5-inch iPhone continues to be much larger, while the OLED iPhone, which is rumored to have a 5.8-inch display, is similar in size to the 4.7-inch iPhone because it has no display bezels. The 5.8-inch iPhone mold has a vertical camera and a longer power button, two features that have been seen in previous leaks. It’s not clear if these are molds for the iPhone or for molds that are used for things like third-party cases, but the sizes do appear to match up with rumors we’ve been hearing about the devices. Japanese site Mac Otakara found another iPhone 8 case on Alibaba, and used it to make some size comparisons to the iPhone 7 and the iPhone 7 Plus. The iPhone case in question is similar in design to many of the leaked prototype 1 design drawings and dummy models that that have been seen, and it could potentially be representative of the final design of the iPhone 8. An iPhone 7 placed inside the case suggests the iPhone 8 will be just a bit wider than the iPhone 7, but quite a bit taller. The iPhone 7 is “loose” in the case, as the iPhone 8 is also expected to be thicker. iPhone 8 renders based on a device that’s 144mm tall, 71mm wide, and 7.7mm thick were compared to the iPhone 7 and the iPhone 7 Plus, giving us another look at how the iPhone 8 fits into the iPhone lineup. The iPhone 8, if the measurement predictions are accurate, is wider, thicker, and taller than the iPhone 7, but not as large as the iPhone 7 Plus. A screen protector said to be designed for the iPhone 8 is in line with many of the display rumors, renderings, and part leaks we’ve seen. Designed to mirror the look of the iPhone 8, the screen protector features, a 2.5D rounded edge, thin bezels, and a front-facing cutout for the camera, ambient light sensor, proximity sensor, and perhaps other features rumored for the front-facing camera, like a 3D sensing module. Given the major changes Apple plans to introduce to the iPhone in 2017, it seems unlikely the device will receive an “S” name, so there’s a good chance Apple may decide to skip directly to the next full number, naming the 2017 iPhone the iPhone 8.
iPhone 8 is a tentative name for the device — it has not yet been confirmed by Apple — but it seems to be the most logical choice for a major update. There’s always the possibility Apple will call it something else or make 2017 the year it moves away from a numbered iPhone naming scheme. Work on the 2017 iPhone is said to be taking place in Israel, and one report suggests employees at the facility are calling the device “iPhone 8,” but it continues to be unclear as to whether that’s the official name Apple will go with. Apple is planning to produce a total of three iPhone models in 2017, further confusing the potential naming scheme. As two these devices could perhaps be similar in style to the existing iPhone 7 and iPhone 7 Plus, sold alongside the flagship OLED model, some rumors suggest they could be called the “iPhone 7s” and an “iPhone 7s Plus.” In that case, we’d have an iPhone 7s, and iPhone 7s Plus, and an iPhone 8 or some other name like iPhone X or iPhone Pro. Japanese site Mac Otakara believes the iPhone 8 might actually be called the “iPhone Edition,” after the higher-end Apple Watch Edition models. Such a name would reportedly reinforce its position as a high end iPhone that’s meant to be sold alongside two standard iPhone models. For the iPhone 8, Apple is planning to move away from the aluminum body that it’s been using since 2012 in an effort to differentiate the new iPhone from the devices that have come before it. Apple is expected to instead re-adopt the glass-backed body last used for the iPhone 4s. Glass is more fragile and heavier than aluminum, but many advances have been made in glass technology and materials like Gorilla Glass are sturdier than ever, which may help prevent breakage. Multiple rumors have suggested there will be three versions of the iPhone: a “premium” OLED model and two standard LCD devices, with sizes that may include 4.7, 5.8 inches (OLED), and 5.5 inches. While one model (the high-end OLED device) will feature a glass body, rumors disagree on what the other two models will be made from. According to KGI Securities analyst Ming-Chi Kuo, who has shared several accurate rumors about Apple’s design plans in the past, all three iPhones will feature the same glass-bodied design, with glass instead of aluminum used for the body of the device. Kuo also believes a stainless steel frame will be used in the higher-end iPhone, while less expensive models may get an aluminum frame. Bloomberg, a site that often has knowledge of Apple’s plans, has confirmed Apple’s plans to use steel-framed glass for the OLED iPhone. The iPhone 4, introduced in 2010Japanese site Nikkei also believes Apple will use glass for all three of the iPhones that are in development, but other sources have suggested only one — the OLED model — will have a glass body, while others continue to use an aluminum body. The CEO of Apple supplier Catcher Technology, Allen Horng, has said “only one model” will adopt a glass casing in 2017, suggesting other non-glass iPhones are in the works, but Apple supplier Wistron has implied all three will feature wireless charging, necessitating glass bodies. Japanese site Mac Otakara has suggested Apple will sell a 4.7 and 5.5-inch aluminum “iPhone 7s” and “iPhone 7 Plus” with a design that’s largely unchanged from the iPhone 7 with the exception of a new red color option, and DigiTimespredicts a 4.7-inch “iPhone 7s” with an aluminum body to be sold alongside a 5.8-inch OLED iPhone with a glass body and a 5.5-inch model of an unspecified material. There are two possible outcomes based on the rumors we’re hearing: Either we get three iPhones with glass bodies and wireless charging, with extra features to set the OLED model apart from the standard models, or we get a single OLED model with a glass body sold alongside two standard aluminum devices, which may or may not have wireless charging. An iPhone 8 rendering based on leaked design schematicsSize wise, while the OLED iPhone will use a larger display panel because it includes no bezels, it may be similar in size to the 4.7-inch iPhone, so it’s reasonable to picture the iPhone 8 as an iPhone 7 with a screen that spans from edge to edge. The device is said to be in a limited number of colors given the fact that it will be marketed as a “premium” version of the iPhone. Rumors suggest the iPhone 8 may perhaps come in four colors, with one of the colors being a “mirror-like” shade that’s more reflective than previous-generation models. The iPhone 8 may only come in shades of black, as only black front panels have been spotted in the supply chain. That means there would be no white variant. The iPhone 8 may feature an IP68 water resistance rating, an improvement over the IP67 certification earned by the iPhone 7 and the iPhone 7 Plus. Like the Galaxy S7, which is also IP68 certified, the iPhone 8 might be able to withstand 1.5 meters of water for up to 30 minutes while also offering full dust protection. That means it will continue to hold up to splashes and brief immersion in water, but customers should still make an effort to avoid water as Apple’s iPhone 7 warranty does not cover water damage and it’s likely the iPhone 8 warranty will also exclude water damage. Apple supplier Wistron accidentally leaked information on the iPhone’s water resistance. In an interview, a Wistron executive implied that at least one iPhone model would be “waterproof” and would support wireless charging. Because Wistron is manufacturing the 5.5-inch iPhone 7s Plus rather than the iPhone 8, the exec was likely referring to the iPhone 7 Plus, but a feature coming to the iPhone 7 Plus will undoubtedly extend to the other two iPhone models expected in 2017. According to KGI Securities analyst Ming-Chi Kuo, Apple is planning on eliminating Touch ID entirely in the iPhone 8 and replacing it with a new security system that’s based on facial recognition. Facial recognition capabilities powered by new 3D sensors have long been rumored for the iPhone 8, but it wasn’t suggested until recently that the functionality would replace Touch ID entirely. Kuo’s prediction has been echoed by JP Morgan analyst Rod Hall and Bloomberg, with the site suggesting Apple will introduce an “improved” security system that will let customers unlock their iPhones and make Apple Pay payments with facial recognition instead of a Touch ID fingerprint sensor. Apple’s 3D sensing facial recognition system is advanced and can unlock an iPhone within a few hundred milliseconds. It’s said to work even when an iPhone is set on a table, so it’s functional from many different angles and should not be a hassle to use even when making payments at a terminal. It captures more data points than a fingerprint scan, so it’s more secure than Touch ID. Apple is also using 3D depth perception techniques that will prevent the facial recognition from being fooled by a photograph. Apple itself has confirmed that a facial recognition system is in the works, through an accidental firmware leak. Buried in HomePod firmware that was released early, there are hints of what’s coming in the iPhone 8. There are multiple references to infrared face detection in the BiometricKit framework that’s used for Touch ID, confirming rumors suggesting the iPhone 8 will rely either partially or entirely on new facial recognition capabilities. “FaceDetect” methods inside of BiometricKit address face detection circumstances like faces being too far or too close to the camera, the presence of multiple daces, and more, while additional references are made to infrared functionality, which confirms it will use new infrared sensors for facial recognition even in low light. Apple is said to be using a high pixel density front-facing camera and other advanced sensors. The code name for the facial recognition functionality appears to be “Pearl,” but it’s not yet clear what Apple will name the feature when it launches. Iris scanning has also been rumored for the iPhone 8, so there is a possibility Apple will use an iris scanning feature to augment its facial recognition, but it’s not yet clear if this rumor is accurate. Original rumors suggested Apple was planning to integrate Touch ID into the display of the device, but that functionality may not have panned out due to production difficulties and other issues with the technology. Some rumors say Apple is still trying to decide on a course of action, but at this late date, it’s likely a decision has been made. Rumors persist, though, a and Fast Company source says Apple is still working to implement Touch ID under the device’s display, and that its inclusion in the iPhone 8 is “likely.” There’s said to be a “sense of panic” in the air as Apple designers and engineers work to overcome software problems with Touch ID, the 3D sensor, and wireless charging. There was some speculation that Touch ID could potentially be built into the elongated power button that’s included in the iPhone 8, but supply chain sources say the button is solid with no additional sensors or components that would be required for Touch ID. For that reason, Touch ID is also not likely to be built into that button, suggesting it’s gone entirely. Due to the different rumors and the fact that the facial recognition system is allegedly “still being tested,” it continues to be unclear if the iPhone 8 will indeed do away with Touch ID entirely in favor of facial recognition. There have been multiple rumors about under-display Touch ID, including some pointing towards specific component suppliers, so we’ll need to wait for more information to confirm Apple’s iPhone 8 plans. Regardless of whether the iPhone 8 has Touch ID, the two devices that will be sold alongside it, the “iPhone 7s” and the “iPhone 7s Plus,” are expected to continue to offer Touch ID Home buttons. At least one iPhone 8 model is expected to include a flexible OLED display and Apple has already signed a deal with Samsung to produce OLED displays for devices set to debut in 2017. An OLED display eliminates the need for the backlighting that’s used in traditional LCDs, which would allow Apple to cut down on the thickness and weight of the display used in the device. OLED displays can also be flexible, but Apple is planning to use a flat 2.5D display in the iPhone 8. OLED displays offer better contrast ratio, truer colors, improved viewing angles, better power efficiency to maximize battery life, and a faster response time than an LCD for faster refresh rates. On the downside, OLED displays don’t have the lifespan of an LCD display and they’re more prone to water damage, two issues Apple will need to overcome. Apple already uses OLED displays in the Apple Watch. The Apple Watch has an AMOLED displayThere are multiple rumors about the size and type of the panels Apple will be using, and rumors indicate Apple is testing more than 10 iPhone prototypes. While we’ve heard several rumors pointing towards different display sizes, information seems to be solidifying around a screen size of 5.8 inches, with a smaller active display area. Because Apple has tested so many design prototypes for the iPhone 8, we’ve heard a lot of mixed information on the design of the display. On the whole, it’s sounding like the display will likely be somewhat curved (similar to the existing iPhone 7) with a very small bezel in the range of a few millimeters. Multiple rumors suggest Apple will implement an edge-to-edge display, which means the iPhone will have very thin top, bottom, and side bezels, with the display taking up the entire front of the device. It will look like a single, uninterrupted piece of glass. According to KGI Securities analyst Ming-Chi Kuo, the iPhone 8 is said to have the “highest screen-to-body ratio of any smartphone currently available worldwide” due to the edge-to-edge display and the ultra-thin bezels. A “notch” for the front-facing camera and its accompanying sensors is said to be the only noticeable part of the iPhone 8’s bezel. Sensors like Touch ID will be embedded in the display or eliminated, and there will be no iconic Home button on the device. Based on Kuo’s description, the iPhone 8 can be thought of as having a screen the size of the 5.5-inch iPhone in a form factor that’s the size of the 4.7-inch iPhone. Imagining an iPhone 7 Plus that features just a display and no bezels is a good way of conceptualizing what the iPhone 8 might look like. The device, as described by Kuo, has a resolution of 1125 x 2436. With the edge-to-edge display, KGI Securities analyst Ming-Chi Kuo believes Apple will continue to use a 2.5D display, like the display in the iPhone 7. Japanese site Nikkei has echoed Kuo’s prediction and also expects Apple to use a 5.8-inch display. Most rumors point towards a 2.5D display for the iPhone 8, but there have been some outliers and some confusing rumors based on the different way curved displays are described. Nikkei Asian Review, for example, says the iPhone 8 will feature a curved OLED display, but with a gentler curvature than the Samsung Galaxy S7 Edge. Technically, that sounds similar to what other sources have described — a curve like the slight curve of the existing iPhone 7. The site does, however, say that Apple “would not be using OLED optimally” if it implemented a display like existing models, but Nikkei appears to expect a display that is slightly curved beneath the edges of the 2.5D cover glass, a curve not nearly as significant as the curve on the Galaxy S7. Nikkei, like Kuo, expects the curved screen to allow for a viewable area of 5.2 inches. The Wall Street Journal also suggests a curved display, but does not go into detail on what that means. It sounds like a lot of the display rumors are saying the same thing, though it can seem quite different due to the confusion over and the different interpretation of the word curve. Based on what we’re hearing, we expect an OLED iPhone 8 with a display that’s just slightly curved downwards at the edges but mostly flat. According to information said to be shared by a source at Apple supplier TSMC, the iPhone 8 will feature a 18.5:9 aspect ratio instead of a 16:9 aspect ratio. That’s the same aspect ratio the Galaxy S8 and S8 Plus use. MacRumors has been receiving visits from devices with a display resolution of 375 x 812, which translates to 1125 x 2436 using pixel tripling, suggesting Kuo’s resolution prediction may be accurate. The devices appear do not correspond to any known devices and are believed to be iPhone 8 models. As previously mentioned, Apple is rumored to be planning on debuting three devices, one premium model with an OLED display and two standard models that use traditional LCD panels. While there is confusion over the size and curvature of the OLED panel, the LCD iPhones are expected to be 4.7 and 5.5 inches, the same size (and design) as the iPhone 7 and iPhone 7 Plus. All three of the iPhone models set to be released in 2017 could include True Tone displays, according to Barclays analysts. A “full spectral sensing” ambient light sensor will enable “True Tone” colors that will adjust the display to the light in its surrounding environment. The current-generation iPad Pro was the first device to include a True Tone display, an example of which is below. In a room with fluorescent lights, for example, the iPhone’s display might appear more blue, while in a room with warmer incandescent lights, the display would appear slightly more yellow. At least one device is also expected to include ProMotion display technology, which supports a 120Hz refresh rate for improvements to motion and animations. ProMotion was first introduced in the 2017 iPad Pro models. All iPhone models coming in 2017 are expected to use Apple’s A11 chip, including the OLED iPhone 8 and the more modest 4.7 and 5.5-inch iPhones (which could be called the iPhone 7s and the iPhone 7s Plus). TSMC began production on Apple’s A11 processor in May 2017. TSMC initially wanted to start productionin April, but production was reportedly delayed due to issues with the 10-nanometer FinFET manufacturing process. The A11 chip is expected to be both faster and more power efficient than the current A10, manufactured on a 16-nanometer process. It could introduce speedier performance and better battery life. Early iPhone 8 rumors suggested Apple was working on long-range wireless charging technology that could be implemented as soon as 2017, but more recent information and speculation suggests that instead of long-range wireless charging techniques, Apple will instead use an inductive-style wireless charging solution (similar to the Apple Watch) for the device, and Apple supplier Wistron has accidentally confirmed that wireless charging is planned for at least one iPhone model. Apple in February joined the Wireless Power Consortium, which is committed to the open development of the Qi wireless charging standard that’s widely used in devices like the Samsung Galaxy line, and Apple has filed dozens of patents for inductive charging. Dozens of hires with expertise in wireless charginghave also joined the company over the past year. The iPhone 8 is expected to include a WPC-based Qi wireless charging solution that will be enabled through an optional accessory that will be purchased alongside the new iPhones. Apple is said to be having issues with the software related to the wireless charging functionality, so the inductive charging accessory that will enable the feature may not ship until later in the year, perhaps alongside an iOS 11.1 update. The Apple Watch uses inductive chargingThere’s been plenty of evidence that Apple is seeking components for an inductive charging solution. Lite-On Semiconductor is rumored to be providing integrated chip components for the wireless charging module in the iPhone 8. The manufacturer will reportedly supply bridge rectifiers needed to reduce thermal issues and maintain efficiency in wireless power transmission, and Apple is also perhaps sourcing components from MediaTek, Foxconn, Pegatron, and Luxshare. Foxconn and Pegatron are said to be manufacturing the charging bases that will be used with the iPhone. It’s possible Apple originally considered long-range wireless charging techniques but has not yet been able to perfect the solution, which would explain the mixed rumors. There was speculation suggesting Apple is working with a partner, possibly Energous, a company that’s developed a long-range wireless charging solution called WattUp, but there’s been no hard evidence. Energous CEO Steve Rizzone has encouraged such rumors claiming the company has inked a deal with “one of the largest consumer electronic companies in the world,” but it continues to be unclear if that partner is Apple. If Apple is indeed working on long-range wireless charging, it could be introduced in the future. Regardless of the wireless charging method used, KGI Securities analyst Ming-Chi Kuo believes that all new iPhones are likely to support wireless charging next year, including the 4.7-inch model, the larger 5.5-inch model, and the high-end OLED model, as does Susquehanna analyst Christopher Rolland. The iPhone 8 is expected to include NAND flash memory from Samsung, but it is not clear what improvements it might bring. With the iPhone 7 and 7 Plus, Apple introduced a 256GB storage option, and it’s possible additional increases could be included in the iPhone 8. One rumor has suggested the iPhone 8 will include increased storage space, which could make the device more expensive than previous-generation iPhone models, and two additional rumors say it will be available in 64 and 256GB capacities. 3D NAND flash chips for the 2017 iPhones will be supplied by SK Hynix, Toshiba, and Samsung. Like the iPhone 7 Plus, the iPhone 8 is rumored to include 3GB RAM. The larger iPhone 7s Plus is expected to include 3GB RAM, while the smaller iPhone 7s will continue to offer 2GB RAM. The DRAM transfer speed of the three new models is expected to be faster than the iPhone 7 by 10 to 15 percent for better AR performance. Such an engine would perhaps be necessary if Apple is indeed eliminating the Home button in the iPhone 8, as has been rumored. Haptic feedback could offer vibrations to denote triggers like the unlocking of the iPhone and the confirmation of a Touch ID payment, two features currently tied to the physical iPhone Home button. With Apple implementing glass bodies for the iPhone and introducing at least one OLED display, new 3D Touch technology may be required. According to KGI Securities analyst Ming-Chi Kuo, Apple will need to use a new 3D Touch module with “additional graphite sheet lamination” for heat reduction. Kuo also believes the iPhone 8 will feature more consistent output power for the speaker and the receiver to create better stereo effects. We’ve heard few rumors on the prospective battery life of the iPhone 8, but one rumor from Fast Company says the device will include a “far bigger battery,” which could result in improved battery life. A larger battery could also be implemented to power features like an OLED display or new biometric features that are rumored, though, so longer battery life is not a guarantee. Apple is said to be planning to use a stacked logic board design that will support longer battery life. With the improved logic board, the iPhone 8 will be able to offer the same battery life traditionally available in the 5.5-inch iPhone in a device the size of the 4.7-inch iPhone. An L-shaped two-cell battery pack with a capacity around 2,700 mAh could be included. Battery life could be further improved through the use of a more energy efficient OLED panel. KGI Securities analyst Ming-Chi Kuo predicts Apple will implement USB Type-C power delivery technology(while still using the Lightning port) to offer a fast charging feature that would allow the iPhone to charge more quickly. He believes that while the iPhone 8 will offer fast charging functionality, it will continue to ship with the same 5W power adapter equipped with a USB-A port that’s included with iPhones today. A USB-A to Lightning cable will also be included as a standard accessory. Barclays analyst Blayne Curtis disagrees with Kuo and predicts the iPhone 8 will ship with a 10W USB-C wall charger, an upgrade from the 5W charger that ships with the current iPhone 7 that would allow the iPhone 8 to charge faster. The 10W power adapter would include a USB-C connector (and a Lightning to USB-C cable) along with an integrated USB-C Power Delivery chip. KGI Securities analyst Ming-Chi Kuo believes that the dual-lens camera introduced in the 5.5-inch iPhone 7 Plus will continue to be a feature exclusive to “high-end” iPhone models in 2017. Kuo predicts a 4.7-inch iPhone with a single camera, a 5.5-inch model with a dual-lens camera, and an OLED model in an unspecified size with a dual-lens camera. He believes that future models will include optical image stabilization (OIS) for both the wide-angle and telephoto lenses. In the iPhone 7 Plus, only the wide-angle lens features OIS. The camera in the 2017 iPhone could also support 3D photography effects if Apple opts to use an LG camera module. According to Japanese site Mac Otakara and multiple design leaks, the high-end 5-inch iPhone Apple plans on will adopt a new vertical dual camera arrangement instead of a horizontal dual camera system. A vertical dual camera has also been seen on alleged iPhone 8 design schematics and has been confirmed by Bloomberg. According to Fast Company, Apple is working on a rear-facing VCSEL (vertical-cavity surface-emitting laser) system that could be included in the iPhone 8. Such a system would offer faster and more accurate depth measurements for augmented reality purposes, along with speedier autofocusing when taking a photograph. Fast Company said it’s not sure the camera system will make it into the iPhone 8, but given past rumors of of a 3D system and the vertical dual-lens camera redesign, it seems likely Apple has something big planned for the iPhone 8’s rear camera. Apple is working on a major revamp of its front-facing camera in the iPhone 8, adding 3D sensing capabilities for facial recognition. The camera, which KGI Securities analyst Ming-Chi Kuo has called “revolutionary,” is said to consist of three modules: a standard camera front-facing camera module, an infrared transmitting module, and an infrared receiving module, all of which will allow the iPhone 8 to perform 3D sensing and modeling. The infrared (IR) transmitter and receiver will work together to project invisible light into a room or a scene, casting points of light on all of the objects in an area. The infrared patterns and signals are read by the iPhone and allow it to capture depth information, which is paired with 2D images taken with the standard camera. The data captured by the iPhone is analyzed with algorithms Apple acquired in 2013 from PrimeSense, and it’s this technology that will enable the iPhone to analyze a person’s facial structure for facial recognition or detect the layout of a room. The front-facing camera system will be integral for facial recognition, a feature that could potentially replace Touch ID in the iPhone 8, and it also has augmented reality applications. Apple is said to be sourcing components for the front-facing camera from LG, and it some parts may also be coming from Largan Precision, which has said it plans to ship lenses for 3D sensing modules in the second half of 2017, along with Lumentum and Finisar. The iPhone 8 may feature enhanced Siri functionality according to a rumor from DigiTimes. It’s not clear what an enhanced version of Siri would be able to do, but it could include an overall refinement to the personal assistant’s ability to respond to contextual requests and other dialogue. For the last several years, Apple has released its iPhone updates in September, so we expect to see the the new lineup unveiled in September of 2017, but there have been many rumors pointing towards launch delays and supply shortages. Apple is said to be having some technical difficulties with the display lamination process and other high-tech components like the 3D sensor, leading to multiple rumors pointing towards a launch date that could potentially be delayed into October or November. Apple could be planning to introduce the device in September and then hold off on shipping it until later in the year, or it could be available in very limited quantities until Apple can ramp up production. Most rumors pertain to the iPhone 8, but we’ve also heard that all three of the devices Apple plans to launch could see delays. According to DigiTimes, Yield rates for the OLED display panels destined for the iPhone 8 could be as low as three to four million, which could severely limit the number of phones Apple will be able to sell after the device debuts in September if the rumor is true. For some components, Apple has even resorted to purchasing manufacturing equipment and leasing it to suppliers in an effort to get parts on time. Information shared by Barclays analysts suggests the 5.8-inch OLED iPhone will be in short supply when it launches in September, but the analysts do believe a release will happen during the standard September time frame. Full stock may not be available until later in the fourth quarter, however, a rumor that Bloomberg and Ming-Chi Kuo agree with. According to Kuo, the OLED iPhone will face “severe supply shortages” for some time. He believes production ramp up for the device won’t begin until as late as October-November, two months later than previous ramp-ups in August-September. The heaviest demand could be pushed back until as far as the first quarter of 2018, with many users unable to get their hands on the device until that time due to constraints. Based on information from supply chain sources and accessory makers, Japanese site Mac Otakarabelieves the iPhone 8 may be introduced in September, but that it won’t ship out until the first half of the first fiscal quarter of 2018, aka October or November. Factors like the OLED display, wireless charging, new biometric features, and camera improvements are believed to drive up the price, causing Apple to need to charge more. The 3D Touch components, for example, are said to be 150 percent higher than the 3D Touch components used in the iPhone 7 and 7 Plus. KGI Securities analyst Ming-Chi Kuo believes the OLED iPhone will cost in excess of $1,000, as does an inside source that spoke to Fast Company. Goldman Sachs analyst Simona Jankowski believes the iPhone 8 will be available in 128GB and 256GB capacities, for $999 and $1,099, respectively, which isn’t too much of a stretch because the 256GB iPhone 7 Plus already sells for $969. UBS analyst Steven Milunovich disagrees with rumors of a premium price, predicting Apple will keep iPhone 8 pricing competitive with Samsung’s most recent Galaxy S8+. He thinks Apple will sell a 64GB iPhone 8 for $850 to $900 and a higher-end 256GB model for $950 to $1,000. Analysts are basically just guessing on iPhone pricing based on rumors of a radical redesign, but given the abundance of rumors, some from trusted sources, there could be some truth behind the predictions. We’re months away from the launch of the iPhone 8, but we’re already hearing iPhone 9 rumors. According to information sourced from Apple and Samsung’s supply chain deal, the iPhone 9 could feature OLED displays in the following sizes: 5.28 inches and 6.46 inches. Samsung will reportedly supply 180 million OLED display units. Apple is also rumored to be mulling a partnership with Japan Display. Japan Display is developing flexible LCD panels that will be ready in 2018 and could be used in future iPhone models. Samsung may also go back to producing some of the chips for the iPhone expected in 2018, joining TSMC, but rumors currently disagree on this point. LG will reportedly supply L-shaped batteries for the 2017 iPhone. In the future, Apple is said to be aiming to make all of its iPhones with OLED displays, not just a single high-end model. An all-OLED lineup could happen by 2018 or 2019. Apple may be taking a more active role in display development going forward and has purchased equipment to build its own OLED panel research and development line in Taiwan. Apple is also pushing LG to build out its OLED display production facilities with the aim of reducing its reliance on Samsung. Several chemical vapor deposition (CVD) machines were purchased from Sunic System, reportedly so Apple can reduce its reliance on Chinese suppliers. 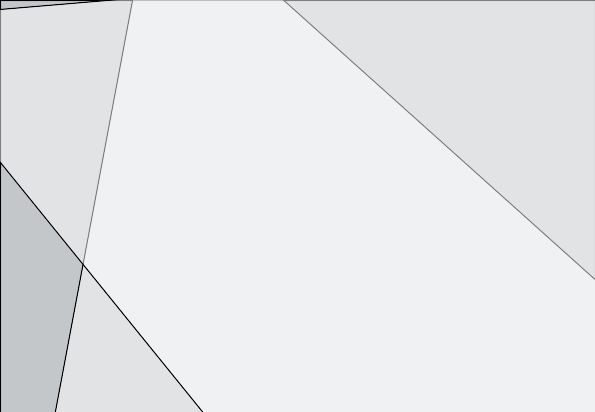 CVD is a technique for fabricating and synthesizing thin films of polymeric materials. Future iPhones could include an “Apple Neural Engine” chip designed to power AI functions in the device. This would offload demanding AI processing tasks to a secondary processor, allowing Apple to conserve battery life. It’s not entirely clear when Apple will be ready to implement its AI chip in iPhones and other devices. In 2018, Apple may add iris scanning capabilities to the iPhone, which could be used alongside of or in place of Touch ID. Like a fingerprint, each person’s iris is unique and so iris scanning can be used for identification purposes. Iris scanning is also a feature that has been rumored for the 2017 iPhone, so it’s not clear when the iPhone could potentially gain these capabilities, if ever. Iris scanning rumors have come from two sources, but with the 2017 and 2018 iPhones still far off, Apple’s plans could change. Adobe announced news last week that it would dig a deep hole for its Flash Player, drop in the plug-in, and cover it with dirt by the end of 2020. So will end a technology that, in many ways, made the Web — even as users, security experts and browser makers took turns whacking it like a piñata at a six-year-old’s birthday party. “We will stop updating and distributing the Flash Player at the end of 2020,” Adobe said in a post to its primary blog. The long lead time, the company contended, will give content makers time to complete the transition to Web standards, like HTML5 and WebGL. Because browsers have been the primary delivery vehicle for Flash content, how they handle the plug-in’s demise will be important to users and content creators alike. Each of the top four-browser makers — Apple, Google, Microsoft and Mozilla — have, to greater or lesser degrees, explained how they’re going to sunset Flash. And maybe, just maybe, take one last lunge at that piñata. How will Microsoft dead-end Flash? Redmond plans a four-step death for Adobe’s once-a-kingpin technology. Continuing through the rest of this year and into 2018. Edge will ask permission to run Flash the first time that website is visited. (That click-to-run functionality only made it into Edge in March, when Microsoft launched Windows 10’s 1703, aka “Creators Update.) Internet Explorer (IE) will allow Flash in all circumstances, as it does now, with no limitation. In “mid to late 2018,” Edge will be updated so that it requires user authorization for each Flash session. No change to IE. At the mid-to-late 2019 mark, both Edge and IE will default to a disabled Flash state. Users will have to manually re-enable Flash in both to view content. Edge will require site-by-site authorization. How does Google plan to kill Flash in Chrome? Like Microsoft, Google will take it one step at a time. Since late last year, Chrome has had Flash off by default, and has limited its use to 10 websites — Amazon, Facebook, YouTube and others — and then only after user approval. According to the flash roadmap posted on the Chromium website — Chromium is the open-source project that feeds code to Chrome itself — around July 2018 (and with the debut of Chrome 66), sites that continue to use Flash will require explicit user okay to show that content. That user approval must be given after each browser restart. A year later — in July 2019 and with Chrome 76 — Flash will be disabled by default, even for sites like YouTube and Facebook. However, users will be able to switch on Flash in the Settings screen. Then, around December 2020 (with Chrome 87), Google will remove all Flash capabilities from its browser, ending a 12-year symbiotic relationship with Adobe’s app. What does Mozilla plan for Firefox? If you’ve heard this story, stop us. At some point in the second half of 2018, probably in Firefox 61 through Firefox 64, the browser will no longer remember the Flash setting. Users will have to activate the plug-in in each browser session. In early 2019, Firefox will begin to display a warning on sites that still use Flash, and then, a few months later, Mozilla will disable Flash by default. Users will have to steer to the settings section to activate Flash. By early 2020, the Flash plug-in will be scrubbed from Firefox. But the Firefox ESR (Extended Support Release), a more static build aimed at enterprises, will support Flash until the end of the year, Mozilla said. When Adobe halts Flash security updates at the end of 2020, Firefox, no matter the version, will refuse to load the plug-in. The short answer: it almost has already. Not surprisingly, not after co-founder and former CEO Steve Jobs’ 2010 anti-Flash diatribe, Apple has had less to do with Flash, and more to do with kicking it to the curb, than any other operating system or browser maker. In 2012, Apple was the first to start stripping out-of-date versions of Flash from its browser. A year later, it was the first to save notebook battery juice by freezing Flash content on Web pages until a user clicked to activate. And in 2016, it was the first to disable the Flash plug-in by default. But Apple, or more accurately the open-source WebKit. The project that pushes code to Safari, had little to say when Adobe announced the 2020 retirement of Flash. “Apple is working with Adobe, industry partners, and developers to complete this transition,” a post to the WebKit blog stated. Neither WebKit or Apple has published a roadmap, even a crude one, to show the milestones toward total Flash annihilation. That’s not a shock: Apple doesn’t do roadmaps. But if you’re a betting person, bet that Safari bans any kind of Flash operability long before do Apple’s rivals. Marketing consultant is someone who truly understands that marketing is crucial to business success and penetration. Marketing and innovation are the two drivers of prime value. Everything else is an extension. We know that technologists would disagree with that today and we are not going to argue it. But in a pure sense, marketing is the critical force that drives the flow of revenue into the business, keeping it going and growing. It keeps the business valuable and it is really a composite of a lot of things. It is a function of a strategic positioning or multi-positioning because you can go after many different segments of a market. It is the vehicle that you use to reach that market. It’s the positioning and the proposition you incorporate into those vehicles. It is the way that you target and you identify the markets that you want. Distinction, differentiation and the animation, the way that you really articulate. Demonstrate the distinctive benefit, advantage, enhancement, or protection that your product or service provides. It’s your ability to prove and establish trust. Your ability to take a highly qualified, prospective client and then systematically and sequentially move them from prospect to buyer. Then, depending on your business model and your product service model, get them to continue buying more or different. It’s finding different ways to add value and monetize it. It’s being able to educate people not just in the elements of your product or service but how your product or service impacts them. It is figuring out the client’s definition of value and being able to resonate to it and also it’s the ability to clearly understand what, why, and how they’re trying to achieve an outcome through the acquisition of the product. It’s the ability to demand preeminence even if you’re at the lowest price in the market. It’s the ability to truly understand, appreciate, and respectfully admire the buyer you’re selling to; you have to have a connection with them. It’s the ability to clearly understand everyone and everything you’re competing against so that you know how to add value and how to distinguish and how to meaningfully compensate. At Netsmartz Pakistan, we provide professional Web Design and Web Development Services to add value to your business. Netsmartz Team is passionate, innovative, dedicated team mixing quality design with effective Web Solutions. We are flexible, adaptable and immediate, and we love the possibilities of the Information Technology and what it could do for you to add value to your business. Every flourishing company knows that a website is a significant internet marketing tool and also furnishes services to the clientele. Finding a web development corporation is nothing but seeming for some professional web developers, service provided by the organisation and timely delivery reports. With a many of web developers out there in the form of agencies, companies, freelancers it is very tricky to find the perfect company according to your objectives and goals. A truly extraordinary web development company can modify the way visitors comments your company. Our team focused on technologies; we specialised to provide quality deliverables. We use open source, agile software development methodologies, latest web development tools and technologies in delivering web solutions and services. Our goal is to earn your trust in our ability to provide you with the highest possible level of services to achieve excellence. Netsmartz Pakistan is an IT solution company based in Lahore, Pakistan, with over 3 years of experience in web development. Our core specialisations are open source web design, development & outsourcing services. Right from the beginning, we have expanded our offerings and capitalised on evolving technology trends to better serve our clients. With our expert team, huge portfolio, and proven delivery method, we work with clients to achieve the best fit between technology and their business. Netsmartz Pakistan have much planned for the future, working with great clients and continued software development. If you'd like to join our team, then we'd also love to hear from you.